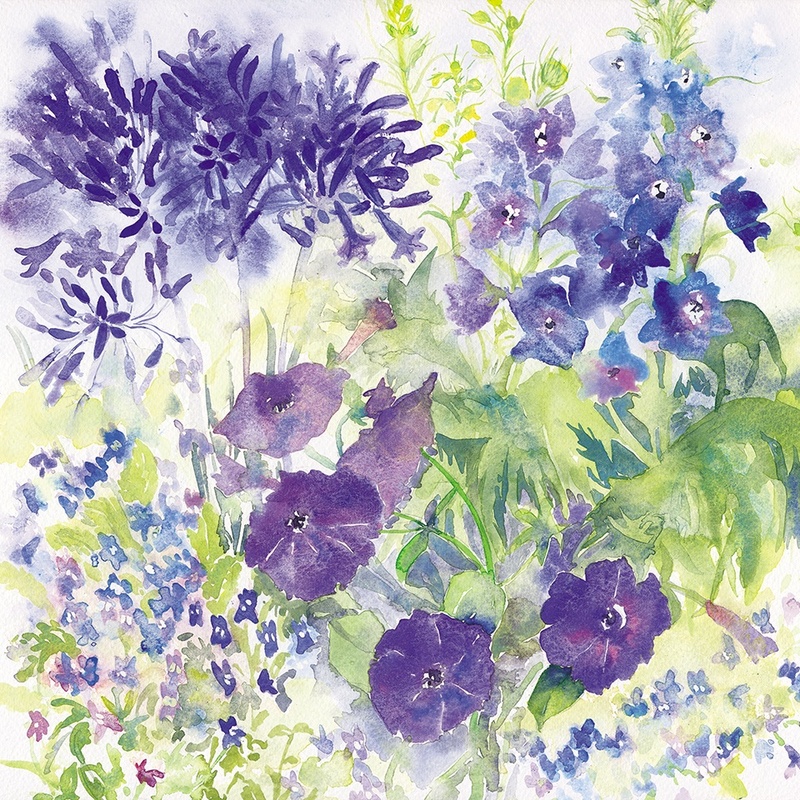 The watercolour image by Penny Silverthorne depicts delphiniums and agapanthus growing in the garden. The colours are striking shades of blue and white. 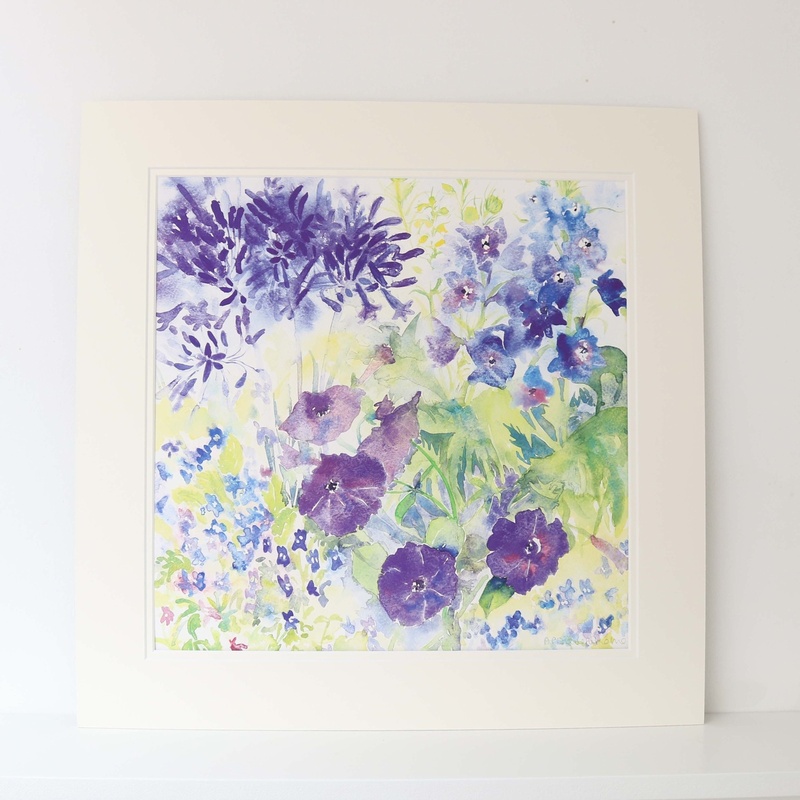 This print of blue summer flowers is in an off white double mount which measures 50 x 50 cm square.